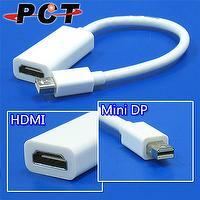 Taiwan Mini DisplayPort to HDMI Adapter | POWER COMMUNICATION TECHNOLOGY CO., LTD. Convert complete Mini DisplayPort signal into HDMI output. 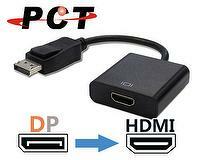 Supports resolution (HDMI) 480i, 480p, 576i, 720p, 1080i, 1440p, 4K2K@30Hz. Built-in conversion chip, signal transmission is more stable and reliable. Cross-platform supports - Windows, Linux and Mac OS.